You are here: Home / Sports / Badgers / Ryan missed out on Naismith HOF, again! Ryan missed out on Naismith HOF, again! 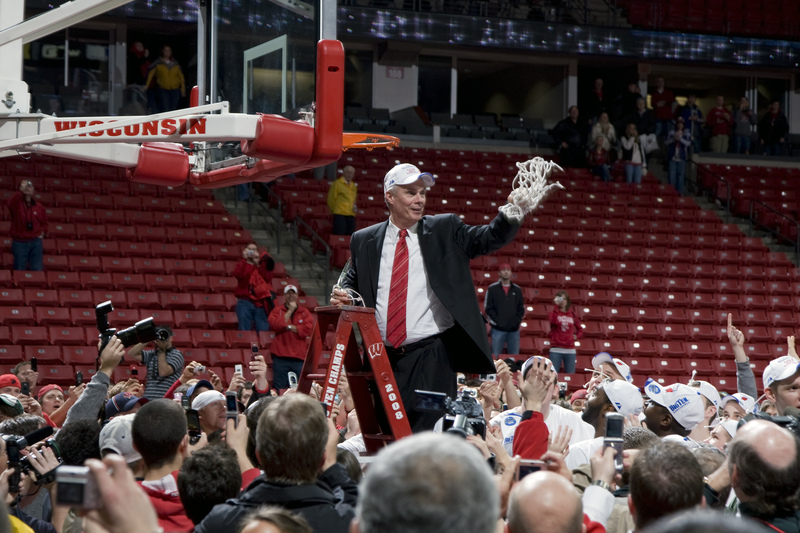 Bo Ryan won’t be a part of the Naismith Memorial Basketball Hall of Fame’s 2016 class. The ten-member class was announced on Monday in Houston at the Final Four. Ryan had been one of 14 finalists announced back in February. The 68-year-old Ryan was a finalist in 2015 after leading the Wisconsin Badgers to the final four for the second straight season. When Ryan retired in December, he left the game with a record of 747-233 in 32 seasons of coaching. That included a 364-130 mark in 14-plus seasons at UW. The Badgers under Bo Ryan never missed the NCAA tournament and won four Big Ten Conference regular season titles and three Big Ten tournament titles. The Badgers never finished worse than fourth in the Big Ten.